Drop into any of our 4 campuses and pick-up a Brampton Guardian 2016 Holiday Song & Activity Book, compliments of Rowntree Montessori Schools. Limited quantities available. We wish everyone a Merry Christmas and a Happy Holiday Season. May you enjoy good health and prosperity in 2017. If you have some time when you drop in, we encourage you to also take a moment to discover the opportunity and possibilities for your child to love learning and excel. Rowntree Montessori Schools cordially invites your family to please drop in ANYTIME at any of our 4 welcoming, friendly and family oriented campuses. Voted BEST Private School for fourth consecutive year! We are thrilled to announce that Rowntree Montessori Schools has been awarded the 2016 Readers Choice Platinum (#1) Award for BEST Private School! This is the fourth consecutive year that RMS has been recognized with this highest distinction. We truly appreciate the recognition from the Brampton Guardian Readers for once again voting Rowntree Montessori Schools Brampton’s BEST PRIVATE SCHOOL. A GREAT BIG THANK-YOU, Brampton! RMS would like to once again THANK all of our wonderful families for the trust and faith you have in our Schools and for entrusting us for the past 47 years with your most cherished treasures, your children. Since 1969, Rowntree Montessori Schools’ teachers pride themselves on their caring and stimulating approach towards teaching as the school’s motto “Nurturing Tomorrow’s Achievers” implies. Our small class sizes allow for teachers to develop a close working relationship with our students and their parents in a motivating and friendly atmosphere while addressing the individual learning needs and styles of each student. Conveniently located throughout Brampton, Rowntree Montessori Schools (RMS) offers four campuses, each one designed and structured to suit the needs of its students who are of Pre-kindergarten age up to Grade 8 inclusive. Rowntree Montessori Schools is the largest and longest serving Montessori school in Brampton as well as a GOLD Level member of the Ontario Federation of Independent Schools. For more information, call 905-790-3838, visit www.RowntreeMontessori.com, or just drop by any of our campuses for a personal tour anytime Monday to Friday between 9:00am and 3:00pm. If you prefer, call to book an appointment for a personal tour anytime Monday-Friday 9:00am-3:00pm. Please kindly SHARE this exciting news with others by clicking onto one or more of the icons below. 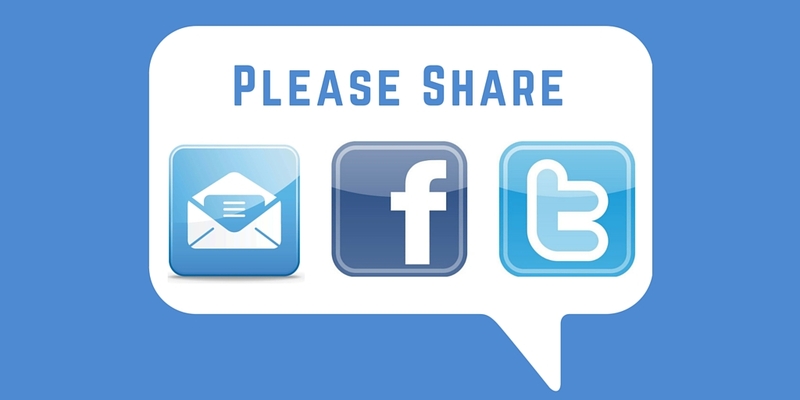 We would appreciate it and thank you in advance. Back-to-School Anxiety doesn’t last long at Rowntree! In August, as students creep closer to accepting the inevitability that school is just around the corner, anticipatory back-to-school fretting kicks in. While our littlest ones may find it both exciting and anxiety-provoking, they may also be apprehensive about taking on more responsibility and independence. Spending recess in a new environment, meeting new friends, and adapting to a new social setting all prove to be challenging at this stage of schooling. They may describe their anxiety as “butterflies in my tummy.” They may not have much of an appetite in those days leading up to the start of school, and they may take a longer time falling asleep or become clingy. All of these are common symptoms observed by both parents and teachers come September. For the Middle School students, their reality may be somewhat different; by now, they would have developed a comfortable knowledge of the inner workings of their school, but still they may experience anxiety as September approaches. Not being too sure about the new teacher, new curriculum, and new rules can be overwhelming! Remaining positive and assuring children that all bumps in the road have workable solutions is the best way to deal with the usual September issues. Another problem that Middle School students face is being separated from their class buddies from the previous year. Reassuring them that they can always reconnect outside class hours will probably help them to settle down. We make every effort to ease these transitional traumas and create a “home away from home” atmosphere at RMS. The first few school days in a child’s life are crucial as students are expected to learn the rules that they will have to follow for the rest of their careers as students. Not only do they learn the ways of a new academic regimen, they are also expected to adjust to a new timetable, teachers, new students, and familiarize themselves with a new school setting. Once they become comfortable and cozy, there is no looking back! By the time October rolls around, at the end of a long and productive day, our student are rarely ready to say goodbye! Parents who once had a hard time leaving their children at the classroom door are often left hanging around in the hallways at the end of a school day, patiently waiting for their children to pack up and say goodbye to their friends. Now that truly speaks to the level of comfort that our students enjoy within the nurturing environment found at Rowntree. 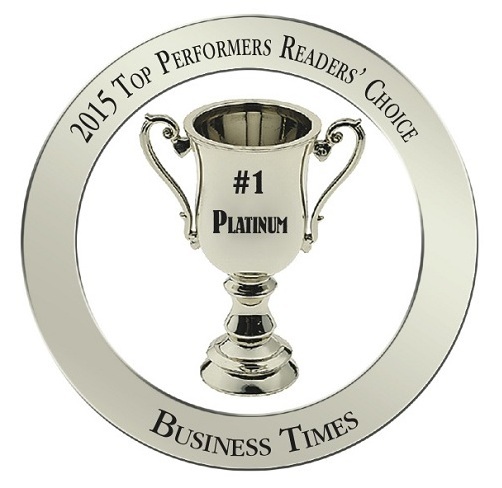 RMS voted the #1 Top Performer for second consecutive year! Rowntree Montessori Schools (RMS) has for a second consecutive year been voted the Best Private School in the Business Times 2016 Top Performers Awards! We truly appreciate the recognition from the Business Times Readers for nominating and once again voting Rowntree Montessori Schools Brampton’s BEST PRIVATE SCHOOL. 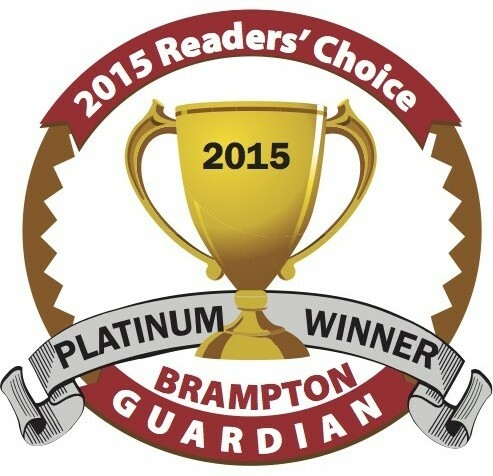 We are truly honoured of this recognition which complements the Brampton Guardian Reader’s Choice awards and the Top Choice Awards also received by RMS during this past year. Each year in May, the Mississauga Brampton Business Times, a publication of Metroland Media Group (TORSTAR), asks its 34,000+ local business readers in the Peel region for nominations of the Top Performers via the Business Times website. This monthly readership, split between direct address labels to local CEO’s, SVP’s, Managing Directors, Small Business Owners, Family Businesses and general distribution, nominated Rowntree Montessori Schools as a Top Performer in the Private School category. Thank you so much for your support… we truly appreciate it and are humbled by it. Hopefully, those who are looking for a top private school with a family atmosphere as well as excellent, dedicated teachers and staff will look no further than RMS. We thank those of you whose experience at Rowntree has instilled a sense of pride regarding your child’s development and a respect for the school community we strive to foster at RMS. We really appreciate your endorsement once again in letting the rest of the Brampton community and that of surrounding areas know that as well by taking the time to vote for Rowntree Montessori Schools in the Mississauga Brampton Business Times’ 2016 Top Performers Awards. Finally, we also THANK all of our wonderful families for the trust and faith you have placed in our schools and for entrusting us for the past 47 years with your most cherished treasures, your children. Since 1969, Rowntree Montessori Schools’ teachers pride themselves on their caring and stimulating approach towards teaching as the school’s motto “Nurturing Tomorrow’s Achievers” implies. Our small class sizes allow for teachers to develop a close working relationship with our students and their parents in a motivating and friendly atmosphere while addressing the individual learning needs and styles of each student. Conveniently located throughout Brampton, Rowntree Montessori Schools (RMS) offers four campuses, each one designed and structured to suit the needs of its students, from Pre-Kindergarten to Grade 8 inclusive. Rowntree Montessori Schools is the largest and longest serving Montessori school in Brampton as well as a GOLD Level member of the Ontario Federation of Independent Schools (OFIS). Choosing a school that fits your child’s needs is a decision which requires careful consideration and much research. It is certainly not a task that should be frivolously checked off of your “Honey Do List”! It is an informed decision that needs to be made by both parents, and should not be taken lightly. Private schools have smaller class sizes which enable students to receive more individual attention in weak areas, and advance their strengths. These class sizes provide more opportunities for teachers to further challenge and enhance the program to meet individual student needs. Most public schools have large class sizes which become challenging for the teacher to provide the individual attention that some students may require. One of the benefits of private schools is that they provide exceptional and challenging educational experiences. Private schools aim to go above and beyond offering the mandatory curriculum; in most cases, they exceed the expectations of the provincial curriculum. Most private school students consistently score top marks on standardized tests. Private schools host frequent parent-teacher meetings, monthly social events, concerts, school trips, family events, camping weekends and more; these events allow parents to connect with their child’s teachers and stay in the loop. These opportunities are limited in the public school system. Private schools have a strong reputation for supportive and nurturing environments which help maintain high standards for discipline and respect. Parents feel at ease dropping their children off each day, knowing that they are part of a close knit community where everyone knows each other! Private schools actively participate in community charity drives which help children learn how to develop a sense of gratitude for what they have, while giving back to their community and learning the importance of sharing and caring for one another. While academics remain the priority for most private schools, many also place a strong focus on a well-rounded education; they encourage participation in extracurricular activities such as: music, arts, sports clubs, robotics, science, and math with a variety of competitive opportunities. Field trips at RMS are an extension of learning and discovery. They are an opportunity for students to be active, and in some instances, to put into practice, skills and concepts that were taught in the classroom. These outside-the-classroom explorations are exciting for both students and teachers! However, this extension of education can be quite an endeavour for a homeroom teacher. While behaviour management and routines are established in the classroom setting, it is important that these routines also be maintained and supported while taking a large number of students in a public forum. Though teachers are extra vigilant and alert on such days, additional help from our volunteers works wonders. It is our very own RMS parents that allow for our field trips to be a success. Our volunteers enthusiastically take on the responsibility of being another watchful eye of a few students. They care for, inform, and guide our students. From orchards to museums, theatres to aquariums, our volunteers are there. They take time off work, rearrange their schedules, and commit to sharing an exiting day in the development of their child(ren) and their child’s classmates. Volunteers make these special days a success. Volunteers also play an important role during special in-school activities, especially when there are several stations, hands-on learning opportunities, and tools. The more grown-up eyes are on keeping our environment safe and fun, the better! Let’s give three much-deserved cheers to our wonderful RMS volunteers! In other words, it is focusing on what is happening now, not what happened yesterday or what will happen tomorrow. It also emphasises being non-judgemental or removing any emotion from your experience. I have found that this removal of emotion is one of the greatest benefits of such practices. Mindfulness comes in many forms: from simply incorporating awareness into everyday activities such as sitting at a stop light or walking to the corner store, to formal meditation and training programs. These practices, with their roots in Buddhism, originally were used in the field of medicine but can now be seen in the fields of psychology, healthcare, neuroscience, business, the military and last but not least, education. Over the past couple of decades, there has been a growing body of research which demonstrates that mindfulness can improve health and well-being in adults. By extension, mindfulness has great advantages for children as well. Reducing stress and anxiety as well as enhancing immune system function are just some of the benefits (Meiklejohn, Phillips, Freedman, et al., p. 1). There are many reasons why an individual would use mindfulness. As a singer, I find that mindfulness is particularly effective at dealing with performance anxiety or “stage fright.” Emotions, to a certain extent, enhance a performance. However, too much emotion will cause my working memory to, well, stop working. The worst part of this is that the more my memory fails, the more my emotional state is heightened causing further memory failure. This downward spiral can happen very quickly, to the point where I will have no recollection of my lyrics despite having spent weeks preparing for the performance. By taking a few minutes prior to going on stage to close my eyes and focus on my breathing, I interrupt the emotional spiral and am able to perform my best. Through these experiences, I have come to appreciate the power of mindfulness. Whether it is in my own running around day-to-day life, my performances, or in the classroom, taking a moment of calm to reset one’s mind is a wonderful gift for myself and those around me. This experience is not unlike what a student may find when they are about to write a test. As such, this is where I will often use mindfulness. Just prior to having my students begin writing, I have them close their eyes and focus on their breathing or the tone of a bell. This allows them just enough time to focus on the “now”, and not worry about the test. The intent of this activity is to calm the emotions thus allowing the working memory to function again, giving the students access to the knowledge that they have studied so hard to gain. The other instance in which I have used mindfulness in is to reduce the level of energy in a library class prior to story time. This has been a training exercise of sorts for Kindergarten through Grade 2, aimed at getting them to focus and regulate their behaviour. The way it works is that I ring a bell that would resonate for 20 or 30 seconds. During that time the students close their eyes and focus on the sound of the bell and nothing else. When they can no longer hear it, they indicate this by raising their hand. This allows me to see who is focusing on the bell and who is distracted by other sounds. After completing a few rounds of this exercise, not only have students practiced focussing, being still and quiet, but they have calmed down enough to be ready to listen to the day’s story. During the 2014/2015 school year, I was a supply teacher at the RMS Academy campus. Early in the year I was called in on a day where I had the opportunity to attend an assembly. I helped the grade 1 class get ready to go to the gymnasium, and as we lined up I heard and saw the excitement the students felt, because they were going to see their siblings and friends in other grades. It was amazing to see the smiles on their faces upon entering the gym, and how respectful they were when entering quietly. This demonstrated to me that the students knew how to behave in a collective gathering environment, which can often be challenging. As I waited for the assembly to start, I noticed that the gymnasium was full; all the teachers were there with their classes, and a large part of the administrative team and senior management were also there. I began to realize that assemblies bring the school community together like a family. In our homes we build values in our children. During assemblies, the students always leave with something they have learned, including important values. For example, on Remembrance Day students were able to learn about respect. Respecting others and ourselves is a value that is taught every day. Near the beginning of the school year respect was one of the values of the month. By making connections between assemblies and what we teach in our classrooms, we provide children with a cohesive learning environment that helps students better understand of the importance of values. The values I saw in the students during my time as a supply teacher encouraged me to work hard to someday get a full-time position at the RMS Academy. My dream came true, and now every day I have the opportunity to teach my students positive values. My favourite assemblies are on Spirit Days, where I have had the opportunity to be a part of the team-building activities that make everyone feel a part of the school community. I smiled so much hearing my students cheer me on. We always talk about the assemblies afterwards in our classroom. As every day goes by in my Prep-ONE classroom, we take time during morning circle to talk about the value of the month and values from previous months. Teaching students good values will nurture them to be great people today, tomorrow and in the future. Click the link below to watch a short clip of a typical Spirit Day Assembly as the students hear their house team totals! At Rowntree Montessori Schools, we realize that exposing students to a second language in their early years, when the brain is like a “super-sponge”, is guaranteed to produce successful results, and in light of that important fact, helping students to build a foundation in French as early as Kindergarten Montessori (Junior Kindergarten) becomes one of our primary goals. By the time our students reach Grade 4, they are well equipped with a sound knowledge of the basic elements of French, making it easier for our students to achieve and exceed the expectations of the Ontario Curriculum. In Kindergarten Montessori (Junior Kindergarten) and Prep-ONE (Senior Kindergarten), students are encouraged to build basic vocabulary and they are provided with many opportunities to practice their vocabulary both in and outside of the classroom. For example, after having learned the names of fruits and vegetables, the students of Kindergarten Montessori and Prep-ONE were asked to use their knowledge of French, to name the fruits and vegetables in their lunch bags. The objective of this activity was two-fold, as it also paved the way to a discussion in “Healthy Eating”. In Grade 1, students have fun pretending to be the “Teacher of the Day.” Students are given the chance to prepare a dialogue in French using pre-written questions and answers which are practiced at school and at home, possibly even with an older sibling who may have an advanced knowledge of French. Evidently, children become more sensitive and fond of the language, when they learn it at a young age. They begin to absorb the words at a rapid pace even when they see or hear it on TV shows, in songs, in commercials, on the road, or in a mall. It is always refreshing to see students attempting to use their oral and listening skills in their daily conversations with family and friends, and to have them share those experiences with us in the classroom! Needless to say, that is simply rewarding to any teacher! By the end of Grade 2, students present their family tree in French. They also learn simple commands and questions in French. Once the students are fluent in speaking the words which they have learned, French becomes the more favoured language to use in the French classroom, until of course they have exhausted the vocabulary they learned! Who is in in your family? In Grade 3, students take pride in presenting their French Autobiography to the class. They also have the opportunity to construct a project of their homes using pictures of their own homes and French labels. This project has become a popular favourite amongst the students as it also serves as a treasured memory of their cozy dwelling. Our mission to develop well rounded, confident and eloquent FSL students is certainly accomplished through these fun and stimulating activities in the classroom! To see more posts about French at Rowntree Montessori Schools, click here.